Since the 16th century, the coffeehouse (qahveh-khaneh) has served as a social gathering place in Persian culture where men assemble to drink coffee or tea, listen to music, and play games such as chess and backgammon. 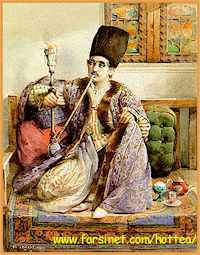 Persian coffeehouses often display religious paintings and religious story tellers. Men often gather to hear stories from Shahnameh or religious characters. Coffee houses with TV and Radio also attract a crowd when polular shows are on. qahveh-khaneh has also been a place for men to sit around and talk politics and business and smoke their pipes or the Persian water pipes served fresh in the coffeehouse. 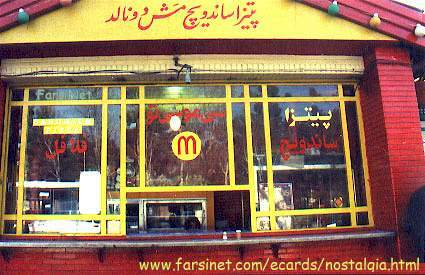 Although this tradition is not as popular now a days, you can still find coffeehouses which serve Hot Tea and Gheylun (or Kalian i.e. Persian Water Pipe).